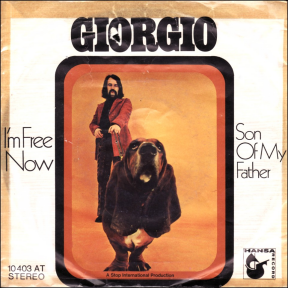 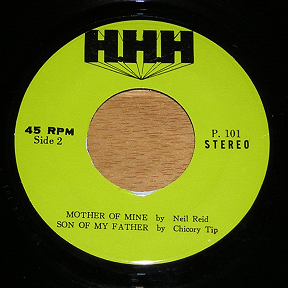 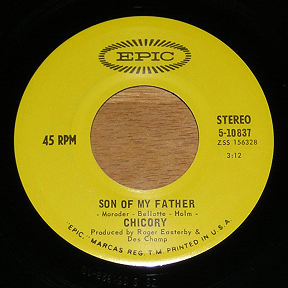 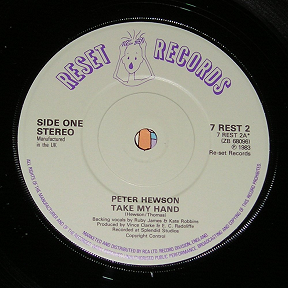 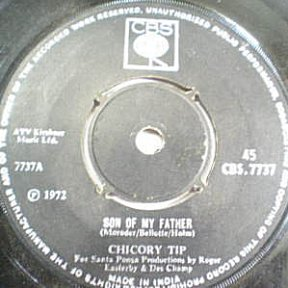 Son Of My Father - Thailand e.p. 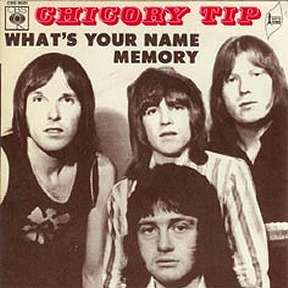 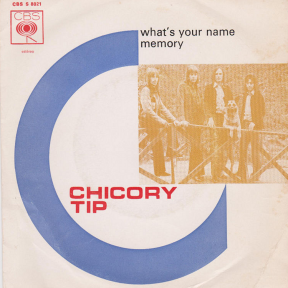 Memory / What's Your Name - USA e.p. 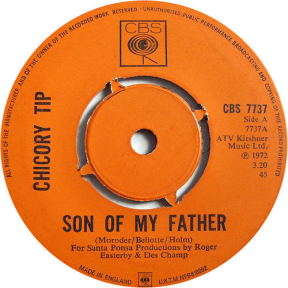 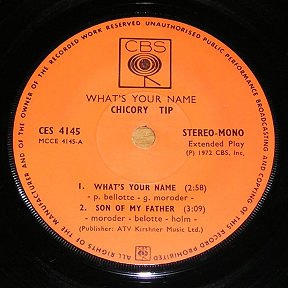 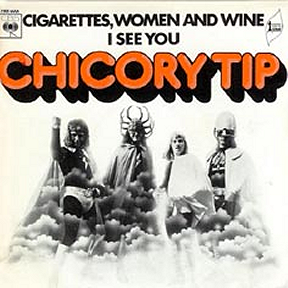 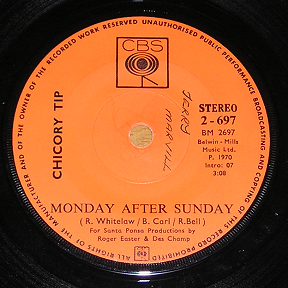 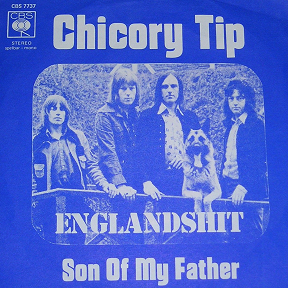 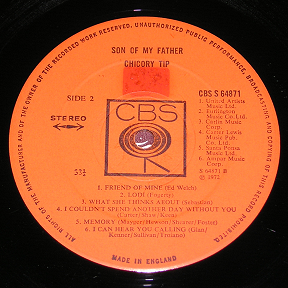 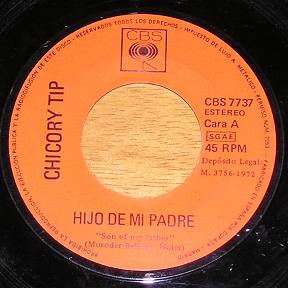 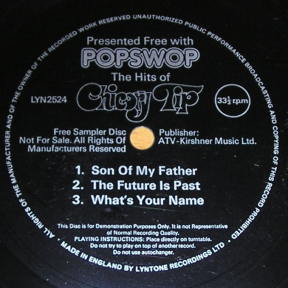 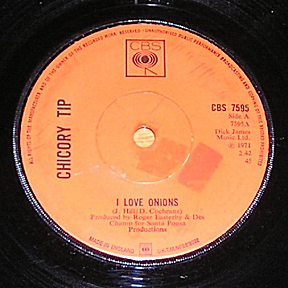 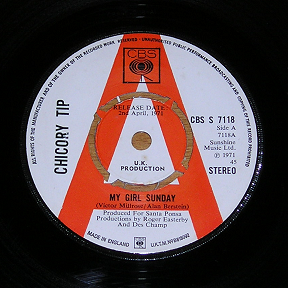 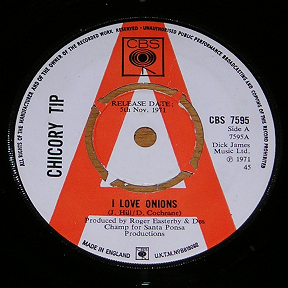 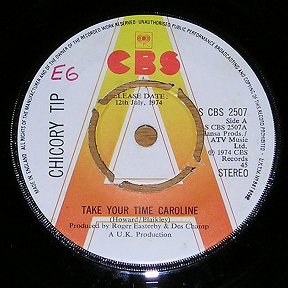 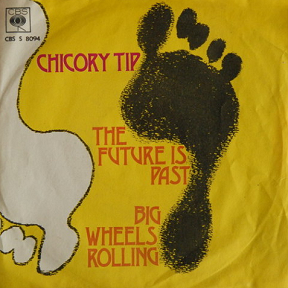 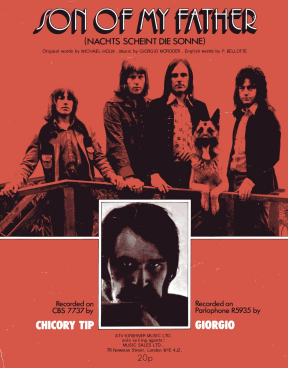 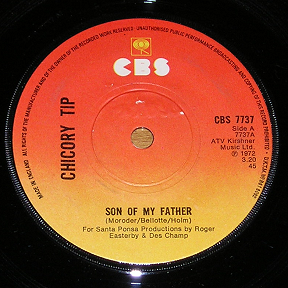 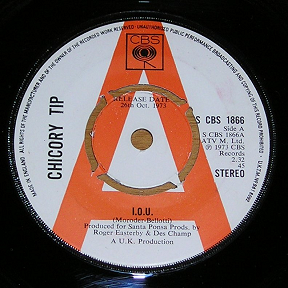 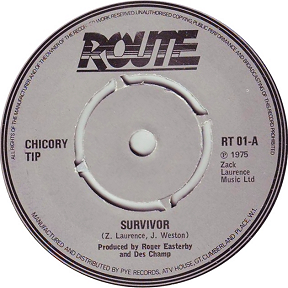 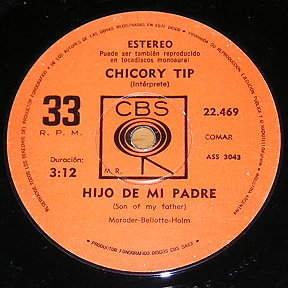 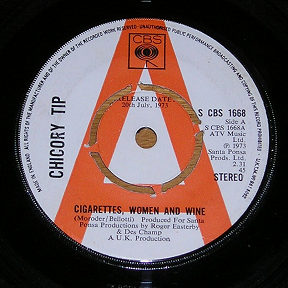 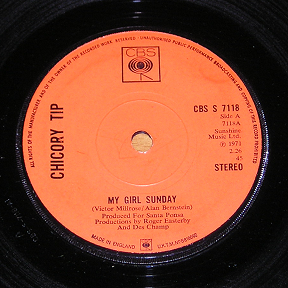 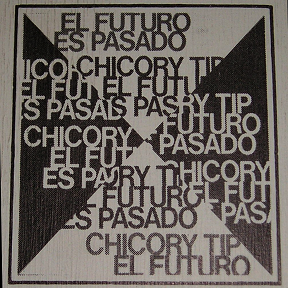 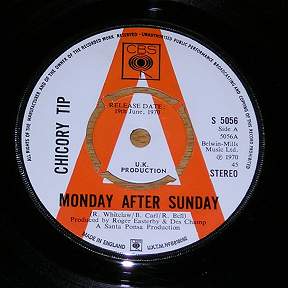 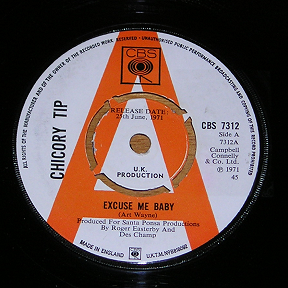 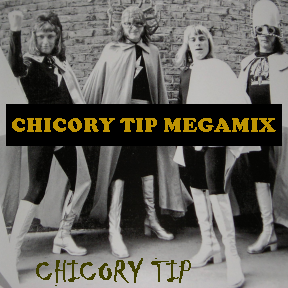 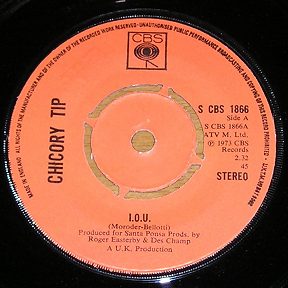 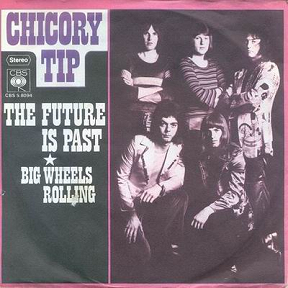 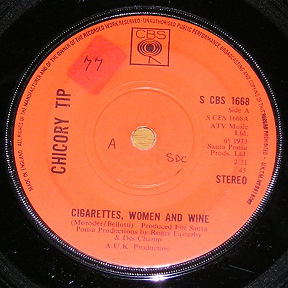 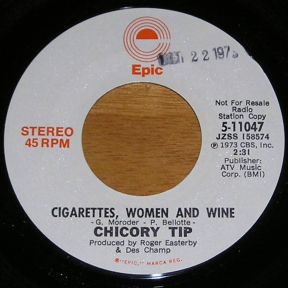 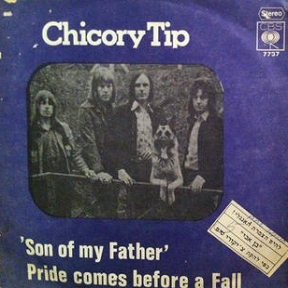 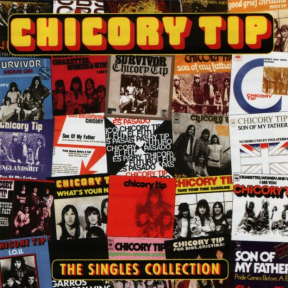 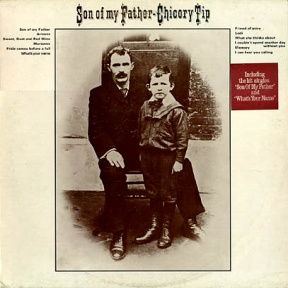 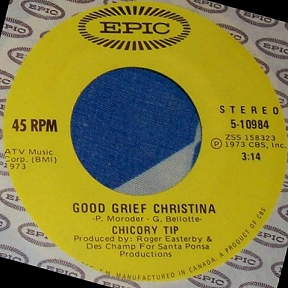 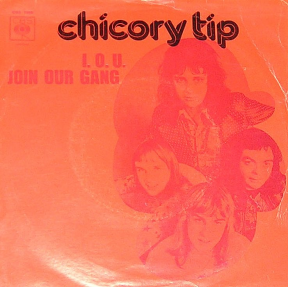 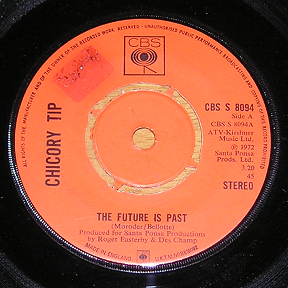 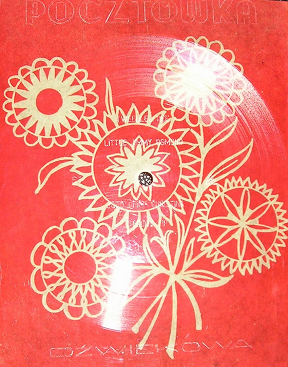 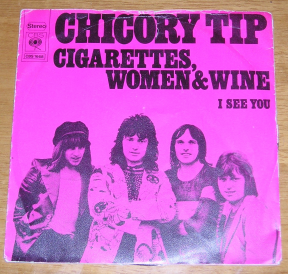 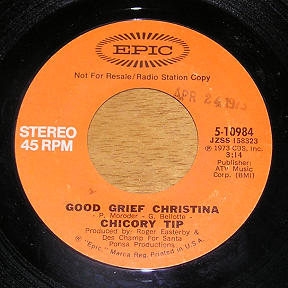 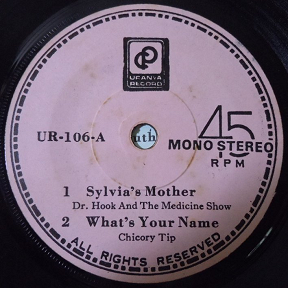 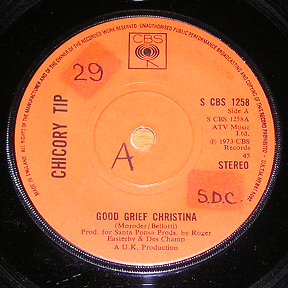 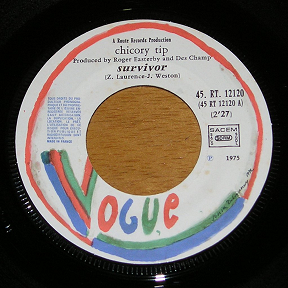 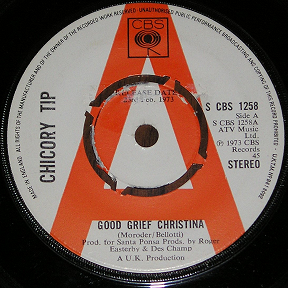 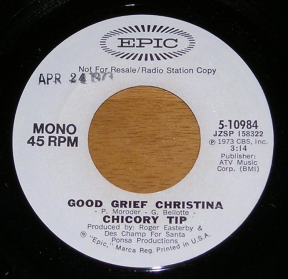 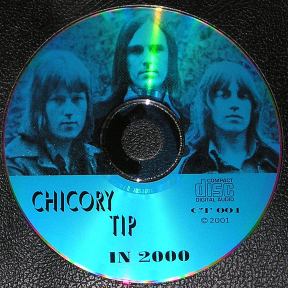 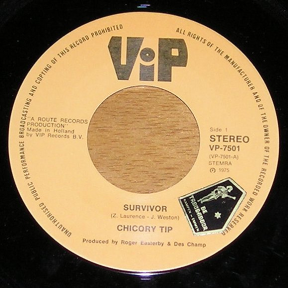 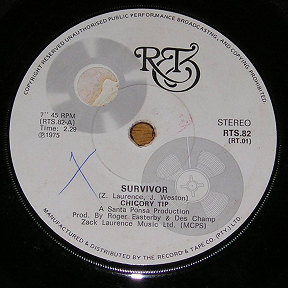 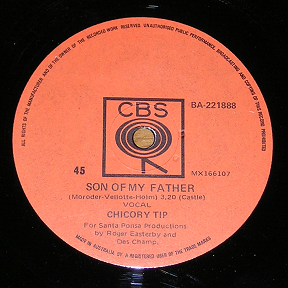 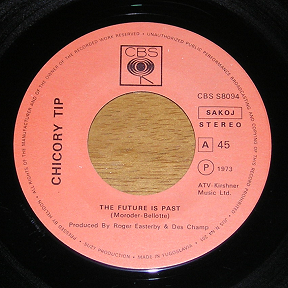 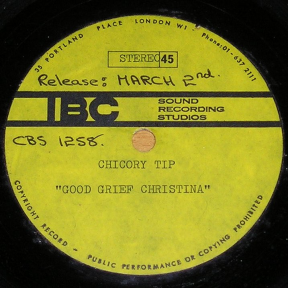 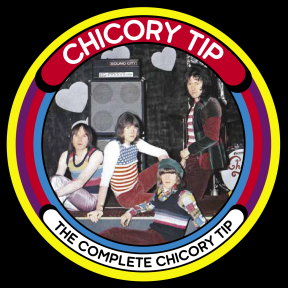 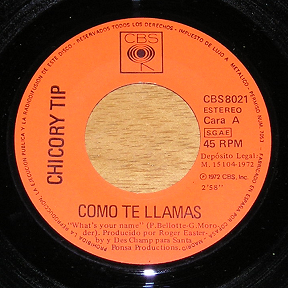 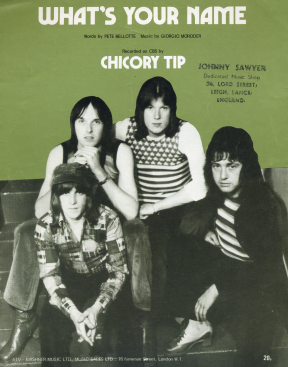 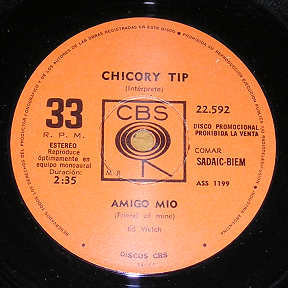 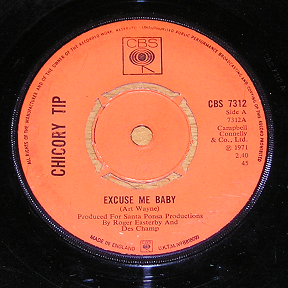 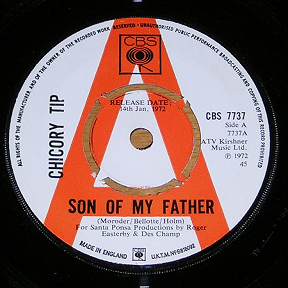 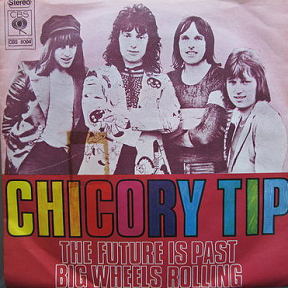 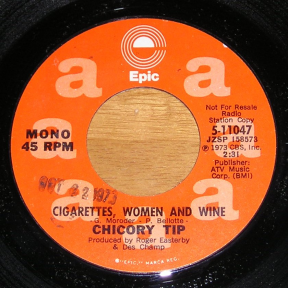 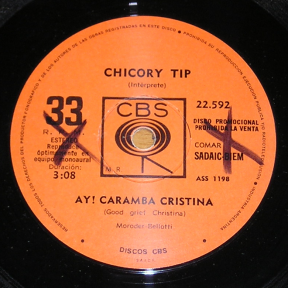 The Hits Of Chicory Tip - Popswop Flexidisc e.p. 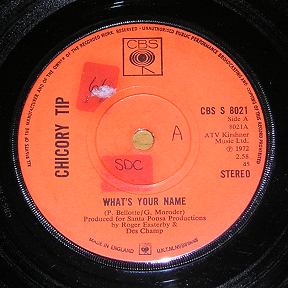 What's Your Name - Thailand Multi Artist e.p. 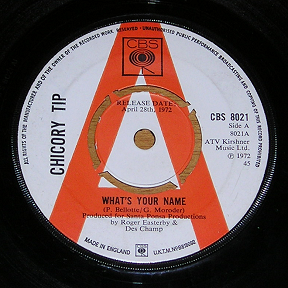 What's Your Name - Malaysia Multi Artist e.p. 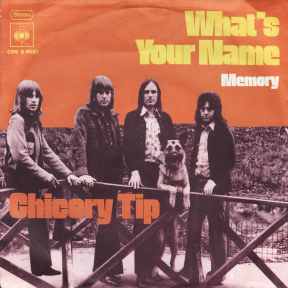 Memory / What's Your Name - Singapore e.p. 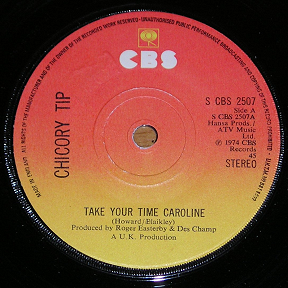 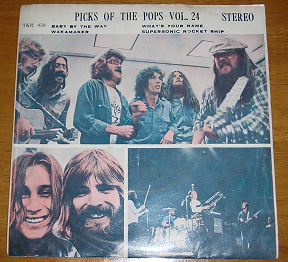 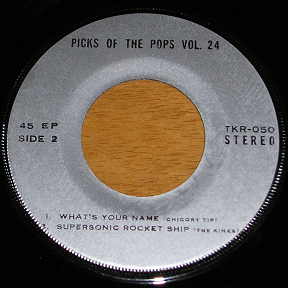 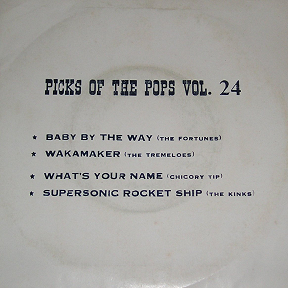 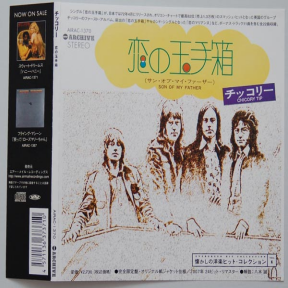 Pick Of The Pops Vol 24 - Thailand e.p. 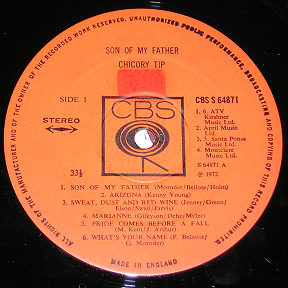 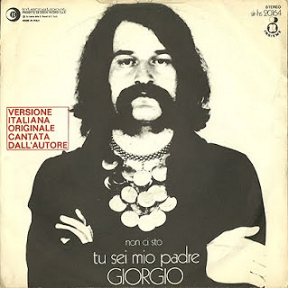 Son Of My Father, Arizona, Sweat Dust and Red Wine, Marianne, Pride Comes Before A Fall, Excuse Me Baby *, Friend Of Mine, Lodi, What She Thinks About, I Couldn't Spend Another Day Without You, Memory, I Can Hear You Calling. 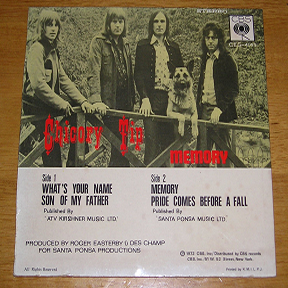 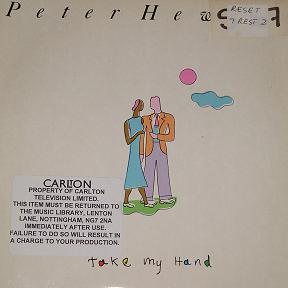 Vinyl album released in Sweden - track listing to follow. 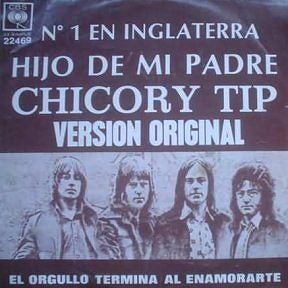 No Details. 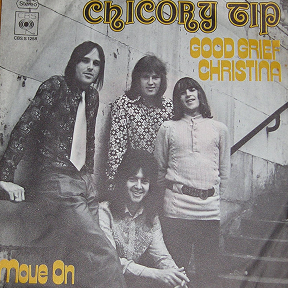 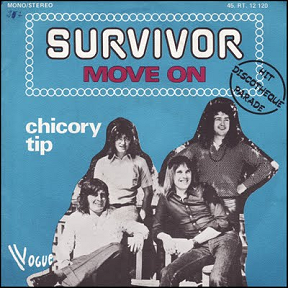 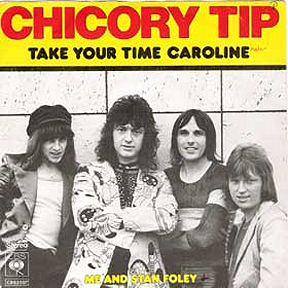 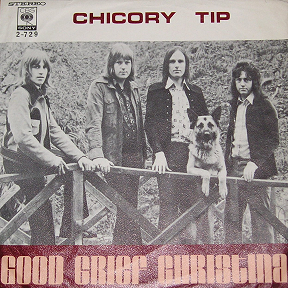 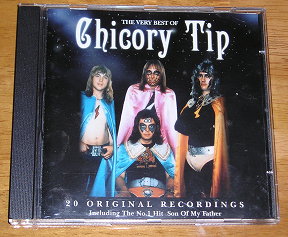 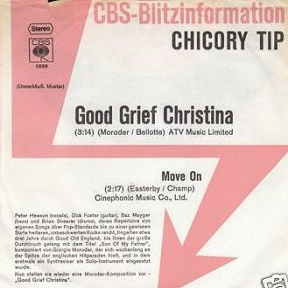 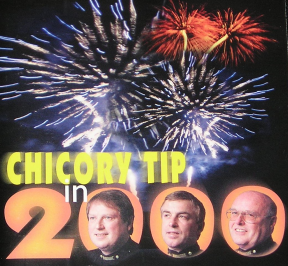 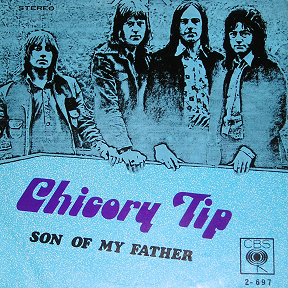 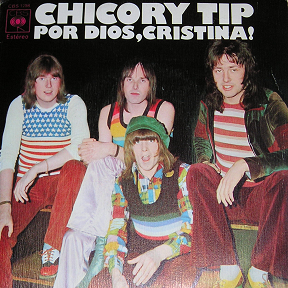 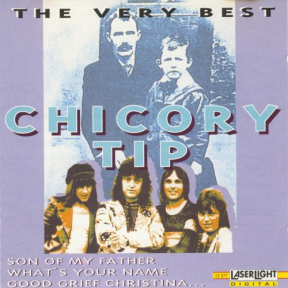 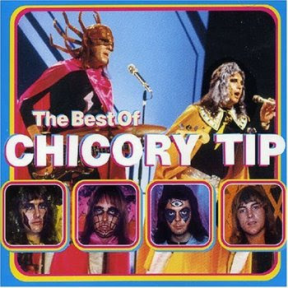 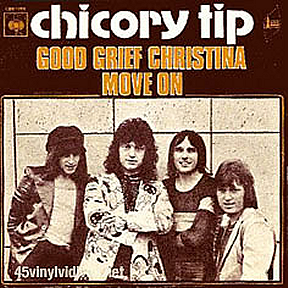 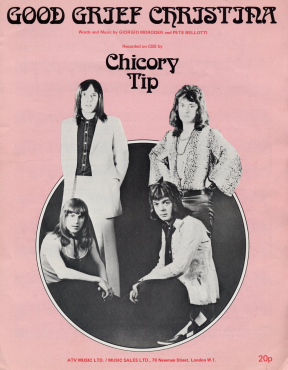 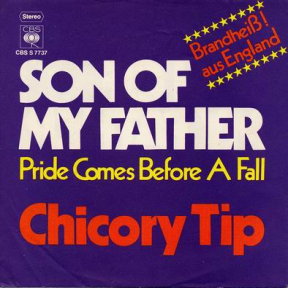 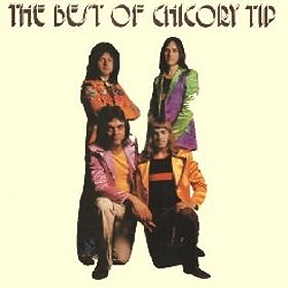 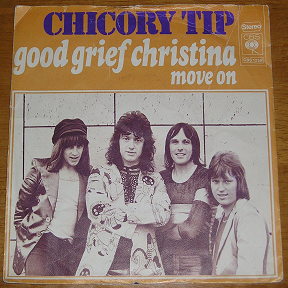 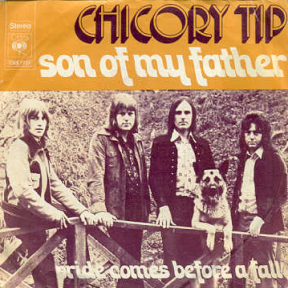 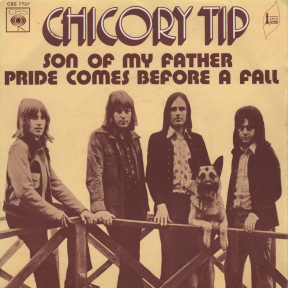 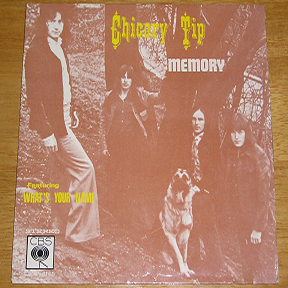 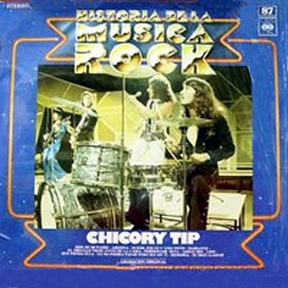 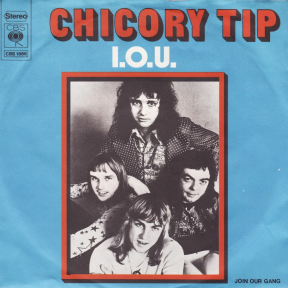 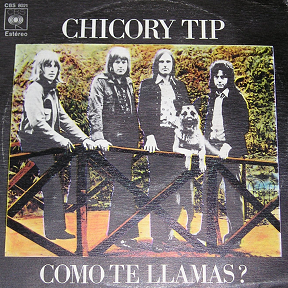 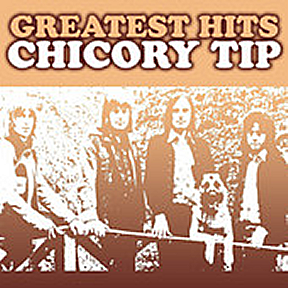 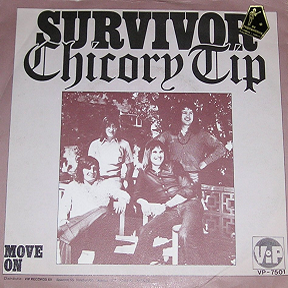 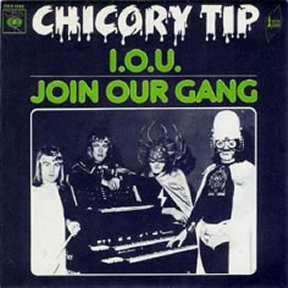 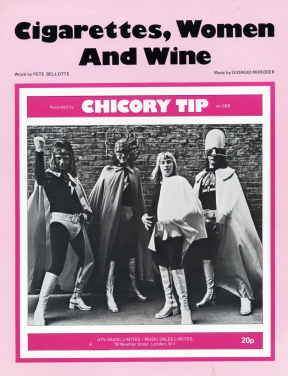 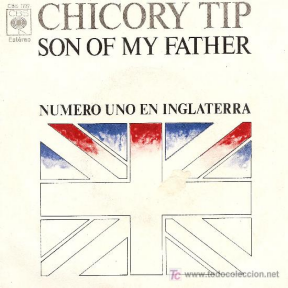 Note the picture on the cover is not Chicory Tip!